On the night of Wednesday, December 6, we will have a party where lecturers and participants can exchange information and deepen friendship. Many participants from each country including PostgreSQL developers will attend and it will be great opportunity to talk directry, so please join us! Also this time we will hold Lightning Talks at party. *The application of LT presenters has closed. If you want to participate, please register from EventRegist website below. *Note that Official Party tickets are also required for LT participants. 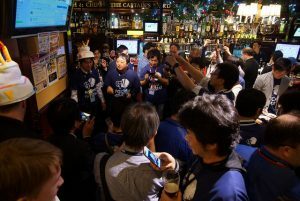 The party venue is Three Monkeys Cafe AKIBA, about 5 minutes on foot from the conference venue. Three Monkeys Cafe AKIBA is 3rd floor of Pasera Resorts AKIBA multi-entertainment. For detailed information and access, please refer to the following website.